When I close my eyes, I see happier times. Happier is not really the word to describe it. It was better than now, but not as good as years gone by. We are fortunate, if one could consider all that has happened and our mere survival fortuitous. Happy isn’t a word that describes much these days. I open my eyes to see you. A rounded stone, inscribed with your name. Born; Died. Mother; Wife. I buried you atop the cliff we made our home. The children water flowers on your grave with what water we can spare. Somehow the tree over your final resting place never seems to shed it’s leaves. I tell them it’s due to their consummate care, but you and I both know the truth. It’s a truth I’ve kept from the world for so long, but now… I wonder. I shudder as a cold wind blows in from the ocean. The cold is the first thing I notice. The smell is the second. All around me everything is dying. The ocean holds our salvation. I remove my mask and gloves to wipe away my tears. The coating of grime scratches my cheek. When I get inside, your daughter will undoubtedly scold me for doing so. “It’s getting late, let’s go to bed. Tomorrow will be another day. The girls share a bed and I sit in a chair in the room we shared. I can’t bring myself to lie in the empty bed. I’m so tired, I fall asleep. I must be dreaming. I hear your voice. I could live in this moment forever. The dream is always the same. I know you’re not real, but I feel your presence nonetheless. You reach out and caress my cheek. I feel warm at your touch. Something’s not right. I reach up to hold your hand and feel my sadness fade. Your eyes beckon and as you turn to walk out the door, I feel sad as our contact is broken. I get up to follow you as I have so many times before. My feet cause the floorboards to creep, but you glide along the floor silently. This is different. Your youngest daughter’s eyes are dark as they have been since she fell ill, but she’s never been in my dream before. You silently walk to her and kiss her atop her head. The embrace lasts and when you pull away, her eyes are clear and bright. It looks as if the sickness is gone. Tears well up in those eyes as you walk out the front door. I leave her standing there as I follow you out to where the dream always ends. But this time… This time the dream continues. You stand there staring down at your disturbed grave. Your tree is in full bloom. You’ve never spoken to me in one of these dreams after you wake me. This time you speak and I know I’m dreaming no longer. The words echo on my psyche. Through teary eyes, I squint against the brilliant light. The aches in my bones are gone. Grass is growing and everything is awash with your brilliance. I drop to my knees, weeping openly. I know I’ll never see you again. You tilt your head slightly and bite your fist before turning and walk off the cliff all the while your radiance grows. I cover my eyes and look away as you become a pillar of pure white light. When I look back, all I see is the endless ocean. You died three years ago, but now you are truly gone. I rise and walk slowly back to our house. It’s the same structure that held grief for so long. Now, it holds hope for a better future. 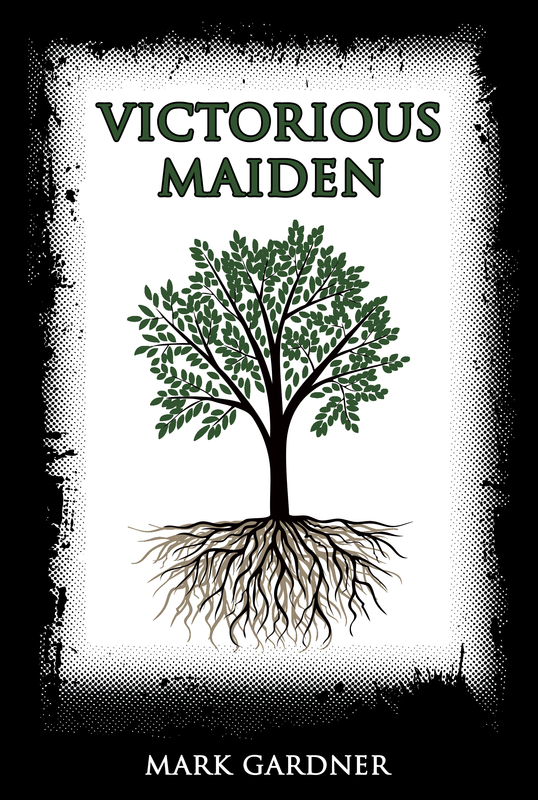 This entry was posted on Friday, January 10th, 2014 at 15:46	and tagged with terribleminds, Victorious Maiden 3 and posted in fiction. You can follow any responses to this entry through the RSS 2.0 feed. I like the present tense. It's hard to do. Good job. The description of the grave was lovely – what a great visual with the engraved rock, the flowers only growing with the little water you could spare, and the dying planet. Well done, sir. You've got a definite sense of voice and emotion throughout. Wish my own had gone half as well. Kathryn: thank you for your kind words. AJ: it sounds a little corny, but I really tried to search my soul for the sadness this story needed. I imagined what a widower may dwell on while visiting his spouse's grave. Your own story made me laugh. Matt: you don't give yourself enough credit. Your story was great! I'm glad, like AJ, you felt the grief in the story. Interesting take on the challenge. Some good hooks in this piece. Thanks for sharing! Mark – it's not corny, it a good process. Maybe even vital to make the emotions of a story really strike the reader.